Lucy McGregor, the Founder and CEO of leading digital marketing agency ‘Lucy Kate Online’ joins Enterprise Radio. Lucy Kate Online specializes in leading-edge digital strategies for health and wellness business, including advanced Facebook advertising funnels. Tell us what Lucy Kate Online does and how you got started in this area? So why Facebook ads? What’s so great about them and why should brands be using FB ads in 2019. What’s the best way to run ads for my business? DIY or outsource? How do I know if Facebook ads are going to work for me? How can I work with Lucy Kate Online? Can I book a call with you? What’s one type of ad that is working well right now, and that you should be testing out? Answer – Instagram story ads. Lucy McGregor is the Founder and CEO of Lucy Kate Online (LKO), a leading digital marketing agency based out of Christchurch, New Zealand. Lucy has been emersed in the digital marketing sphere for over 8 years and has worked with health and wellness brands around the world. She is passionate about using her skills and the expertise of her team to help wellness businesses be successful online. 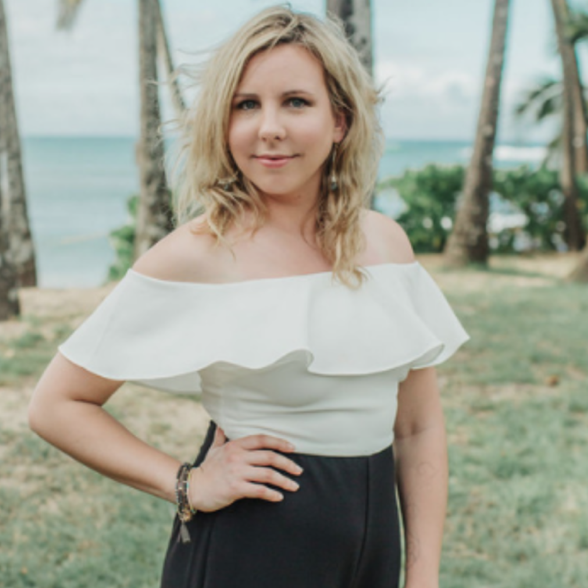 With extensive experience in Facebook advertising and email marketing funnels, Lucy uses her in-depth knowledge of marketing alongside her personal passion for health and wellness to drive incredible results for her clients. When not at her laptop, Lucy can most likely be found hiking the South Island hills of New Zealand, with her rescue dog, Ted.